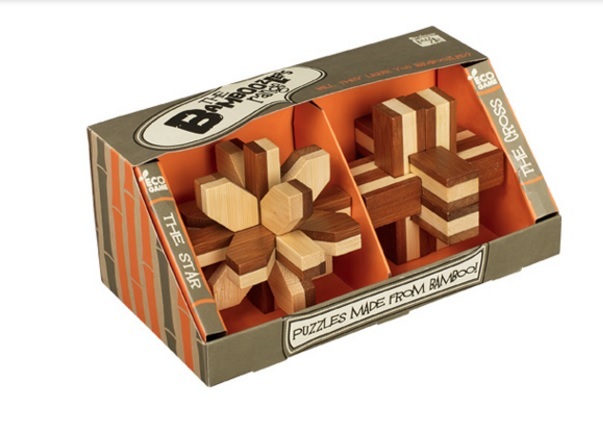 This product from ChessBaron: Separate the pieces that make up the two puzzles. Can you rebuild The Star and The Cross? Puzzle info: It is quite easy to see how to take The Cross apart. Working out how to collapse The Star takes much longer and is less obvious. Both puzzles are equally difficult to rebuild and managing to solve both is about as easy as finding your way out of dense jungle! These puzzles take time and patience to master.